So yesterday I explained that my mother has an extensive nativity collection. Most of them are beautiful and meaningful. But today I’m going to show you the ones that lead a little more to the bizarre end of the spectrum. 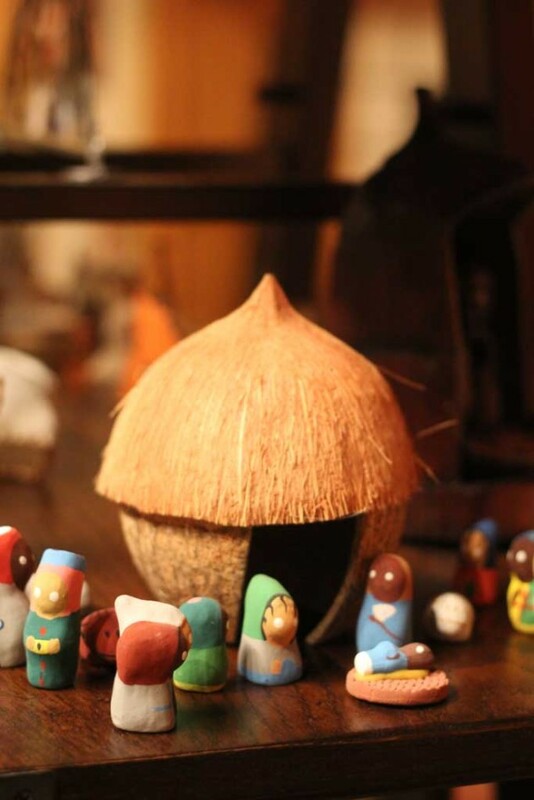 A few years ago a blog about the Worst Nativity Sets made the circulation around the internet and my twin brother and I had the same reaction: Mom has some of those!! And some of her others are just as bizarre! (see that post here) And although she doesn’t have any made out of bacon, I humbly submit to you my own selection of my mother’s most bizarre nativity scenes. 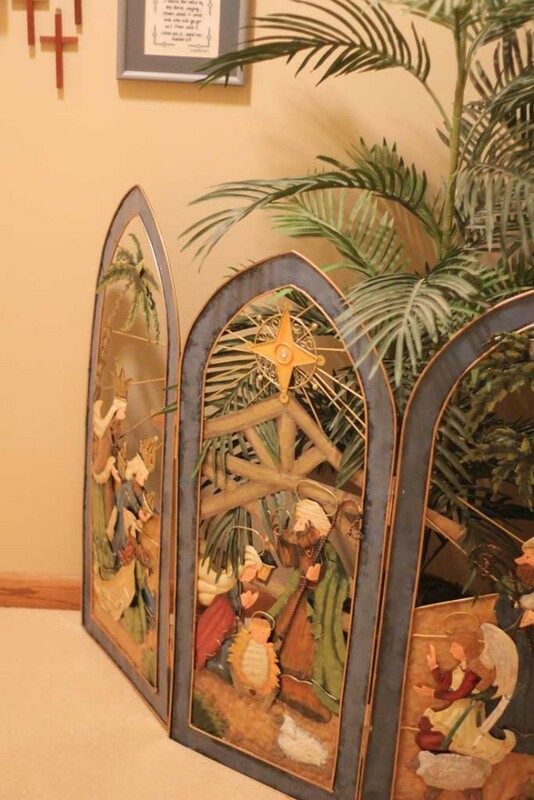 Although confession, after google-ing around to find the link to the worst nativity blog, I realized I didn’t even photograph mom’s own versions of her Veggie Tale nativity and the nativity painted on the front of a wooden Santa, but there is always next year. 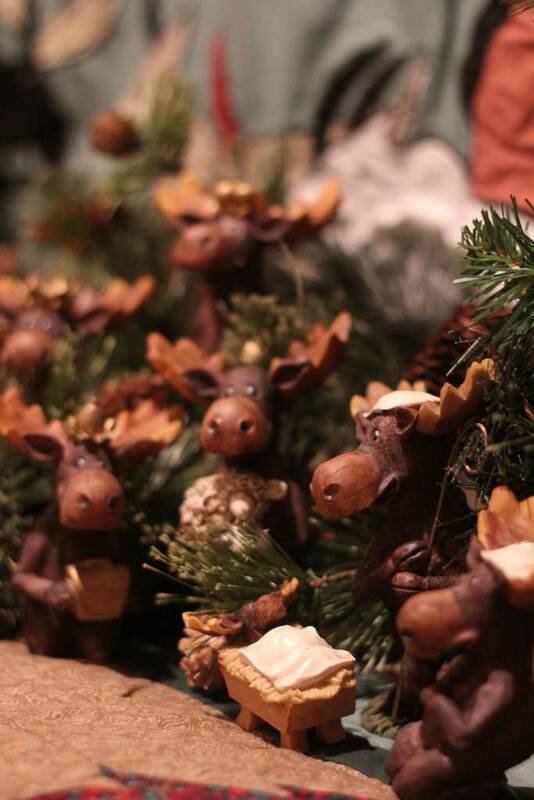 But here’s the thing… I am not willing to state that these are the worst nativities, in fact a couple of them are quite beautiful. They simply made this list because they are out of the ordinary and not your standard run of the mill Mary, Joseph and the baby. 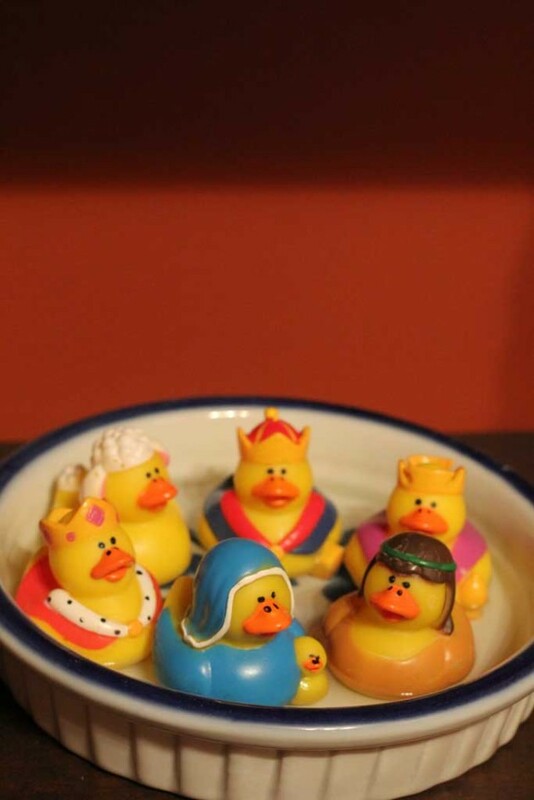 Our family friend Missy gave my mom this awesome Rubber Ducky nativity that sits in the guest bathroom. My dad is a preacher and as I mentioned in yesterday’s post they host several holiday parties a year. At one such party a little boy was in attendance and my mother being the ever fantastic hostess that she is knew that he would LOVE this little nativity, so she brought him over to see her rubber ducky nativity floating in water on the bathroom shelf. The boy ever so seriously turns to his mother and says… “Jesus was a duck?! ?” I’m thinking we made his poor Sunday school teacher’s job WAY harder. If you want to buy your own version, Amazon sells one here. The next one on the list is one of my favorites and it definitely falls into the bizarre but beautiful category. 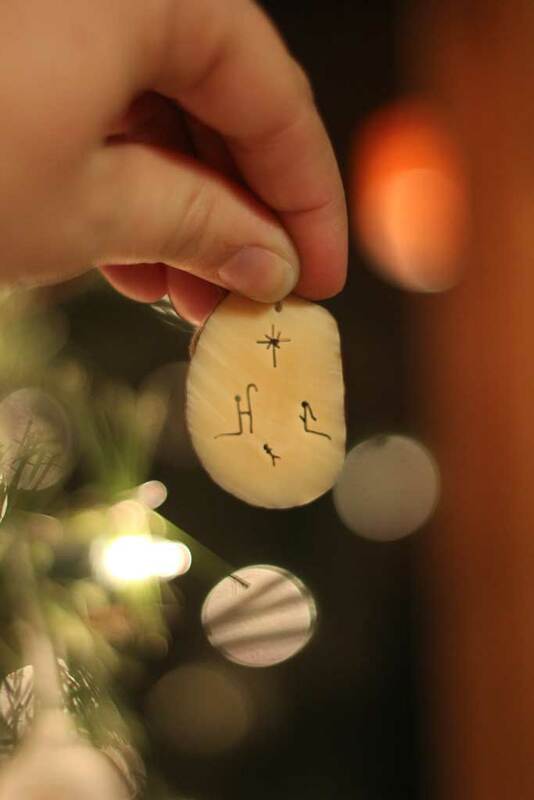 This one is carved out of a Tagua nut and was a gift from my aunt to my mom. 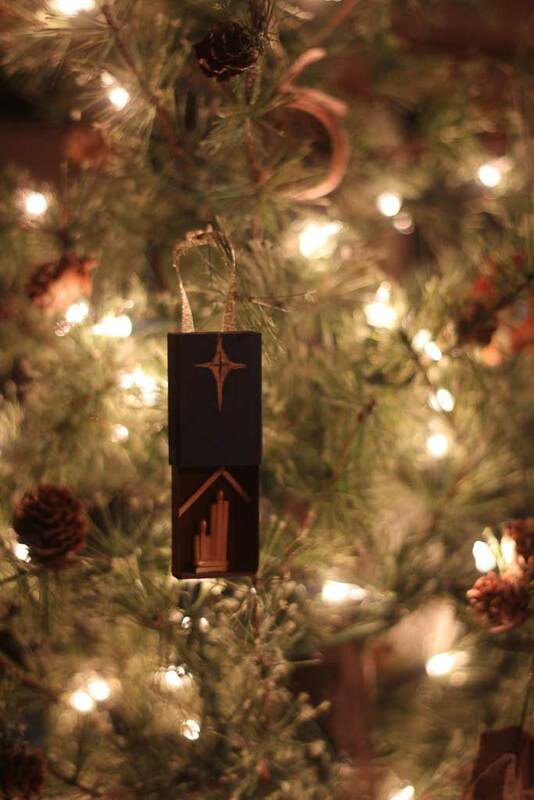 The whole thing is about 2 inches tall and an 1/8 of an inch thick… so I cant imagine how hard it was to carve. 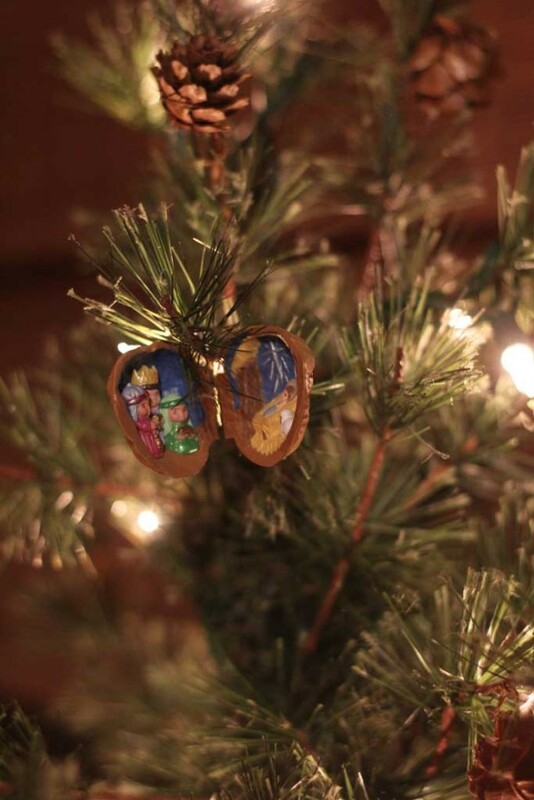 But it also looks a bit like Jesus is about to fall off the bottom of the nut. 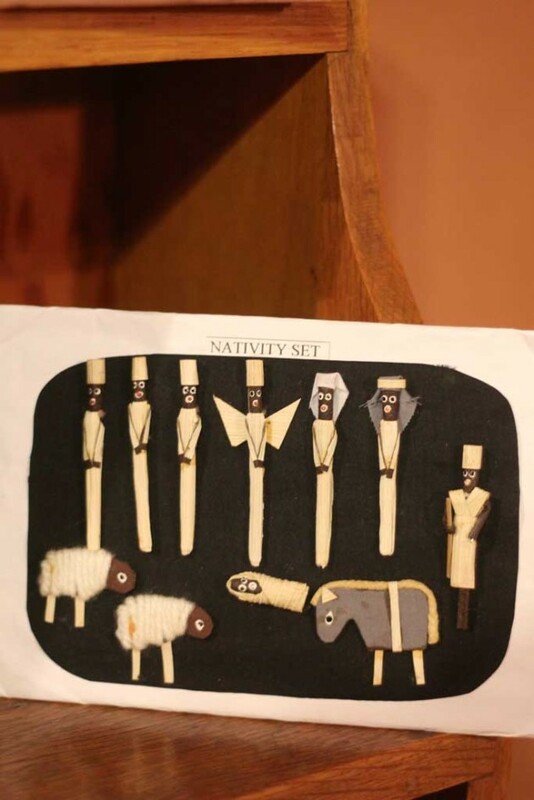 Its hard to see in that picture, but the tips of the matches are painted gold… a very fancy detail on a less than fancy nativity. I love every bit of it. This is another one of those that skirts that line between interestingly unique and totally bizarre. This one hails from Panama that my mom picked up on a vacation there. I’m pretty sure it is that they don’t have pupils… but something about this makes me feel like Mary looks quite possessed. This one is remarkably similar to the one I showed you yesterday (link at top of post) but it makes it onto the list because 1. they look a little bit like cigarettes and 2. This is on a greeting card. 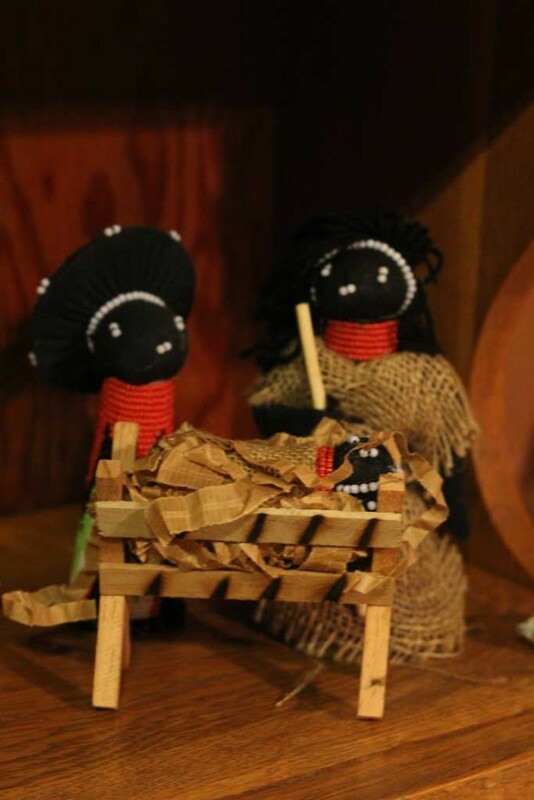 I’m not totally sure where this one came from, but it makes me think more of voodoo dolls than the holy family… but to each their own! 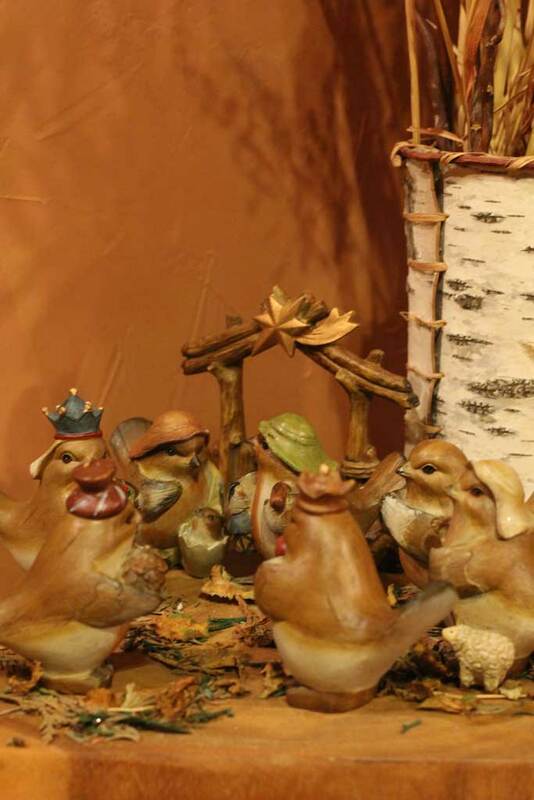 This is one of my favorite bizarre nativities… yes that is bird baby Jesus hatching out of his egg, but have no fear because all of the birds are wearing hats. AAAAAND the shepherd bird has a sheep. I guess in a world where Jesus is a baby bird the laws of proportions have no jurisdiction. This next one is a relatively new addition, I think it came from Uncommon Goods a season or two ago. 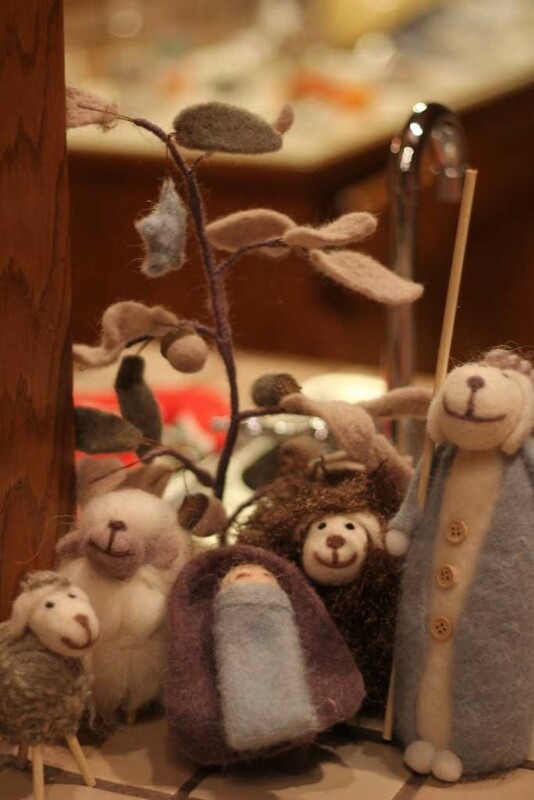 We have had long debates about who the members of the nativity are… is the Sheep/Shepherd Joseph? If so where is Mary? Or was baby Jesus left alone with only the shepherds to watch over him by night? And that’s all of them in a nutshell. 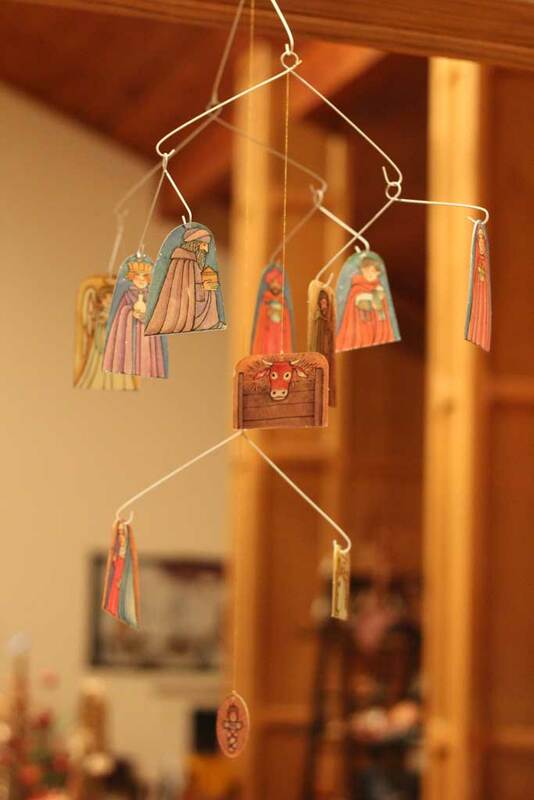 What about you, what’s the weirdest or most unique nativity you have ever seen?